Have you ever considered an Animal Mediumship session? Did you know that an Animal Mediumship session can help heal your grief? Have you wondered about the spiritual aspect of your relationship with your pet after they die? Do you want to know what happens to your pet in the nonphysical world? An important element to understanding the nonphysical world happens via an Animal Mediumship session. 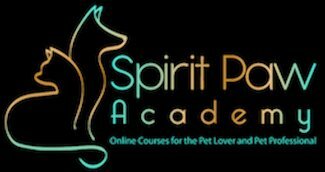 This is where you would experience contact with the energy or spirit of your deceased pet through the guidance and expertise of an animal medium. An animal medium can translate and communicate messages from a pet that has died to you. Although a session with an animal medium is not a cure for the grief that you may be going through, it can help ease your pain and misery. In my own work as a medium connecting pet owners to their deceased pets, so many people described it as a helpful and reassuring experience. One way to consider death is to explore the notion that it is a pause between living in physical and nonphysical forms. Your pet will continue loving you and being loyal even after they continue to the afterlife in spirit form. a feeling in your heart that they are close to you. Even knowing this, there are many questions that you may have. I am going to share with you three of the most common questions that I receive from my clients. Question #1 – What happens when my pet dies? When your companion dies, they move into spiritual energy. They exist without sickness, pain, or fear. Question #2 – Does my pet that died have a special message for me? The answer is YES! When a pet dies, they are still contactable and often want to continue to contact their people for many years. Even though they are not in the physical body, their spirit is alive and well. Question #3 – Will my pet come back to live with me? They can and they do! They will come back as an animal companion. Animals do not reincarnate as humans. Also, parts of their “personality” can also come back as part of another pet’s personality. Connecting with your pet in the afterlife is a healthy way to cope with your grief. Listening to what your pet has to say in spirit form will strengthen your forever bond in a new way. What are your experiences of “sensing” your pet’s presence? Have you had any dreams of your pet? What do you think is the message your pet wants to share with you? How are you still spiritually connected to your pet?